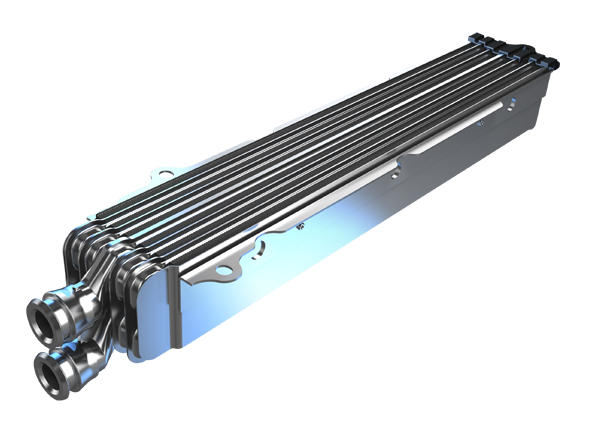 Dana offers a number of advanced heat exchanger designs for charge air cooling. Each of our durable thermal-management solutions promotes engine efficiency and performance, while minimizing downtime. Commonly mounted on the engine, charge air coolers deliver 40-65 percent reduced inlet air pressure drop via the optimized charge air ducting. Coolant for the charge air cooler, or intercooler, can be routed from the engine coolant circuit or from a sub-cooled radiator loop.